Federal prosecutors have indicted Elizabeth Holmes on criminal fraud charges for allegedly defrauding investors, doctors and patients as the head of the once-heralded blood-testing startup Theranos. Sam Brock reports. 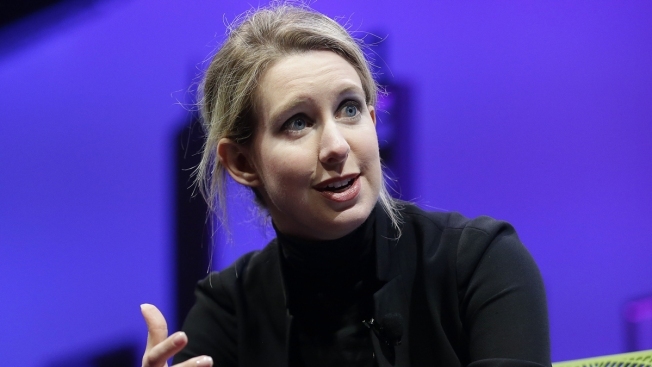 Federal prosecutors have indicted Elizabeth Holmes on criminal fraud charges for allegedly defrauding investors, doctors and patients as the head of the once-heralded blood-testing startup Theranos. The U.S. Attorney's Office for the Northern District of California said late Friday that Holmes and her chief operating officer Ramesh Balwani, are charged with two counts conspiracy to commit wire fraud and nine counts of wire fraud. “This district, led by Silicon Valley, is at the center of modern technological innovation and entrepreneurial spirit; capital investment makes that possible,” said Acting U.S. Attorney Tse. “Investors large and small from around the world are attracted to Silicon Valley by its track record, its talent, and its promise. They are also attracted by the fact that behind the innovation and entrepreneurship are rules of law that require honesty, fair play, and transparency. This office, along with our other law enforcement partners in the Bay Area, will vigorously investigate and prosecute those who do not play by the rules that make Silicon Valley work. Holmes, a Stanford University dropout once billed as the "next Steve Jobs,'' founded Theranos as a blood-testing company. However investigations into the company showed its testing results to be wrong or deeply inaccurate. The Securities and Exchange Commission brought civil fraud charges against Holmes and Balwani three months ago. Holmes settled with the SEC. Balwani is fighting the charges. Theranos says Elizabeth Holmes has stepped down as CEO, three months after the SEC claimed "massive fraud" at the blood-test firm, CNBC reported. Both Holmes and Balwani appeared in U.S. District Court in San Jose, Calif., for arraignment Friday on two counts of conspiracy to commit wire fraud and nine counts of wire fraud, CNBC reported. The settlement comes two years after the SEC, prompted by a Wall Street Journal investigation, began looking into claims at Theranos that it had developed potentially revolutionary blood-testing technology. The Journal piece quoted former employees that suspected the technology was a fraud, and it found that the company was using routine blood testing equipment for the vast majority of its tests. The story raised concerns about the accuracy of Theranos' blood testing technology, which put patients at risk of having conditions either misdiagnosed or ignored. Holmes, 34, founded Theranos in Palo Alto, California, in 2003, pitching the company's technology as a cheaper way to run dozens of blood tests. Once considered the nation's youngest female billionaire, Holmes said she was inspired to start the company in response to her fear of needles. Theranos raised millions in startup funding by promoting its tests as costing a "fraction" of what other labs charge. At the center of Theranos' mystique was its "Edison" machine, which the company claimed could test for a variety of diseases through only a few drops of blood from a person's finger. Despite the hype and company claims, Theranos shared few details on how its Edison machine — named after the inventor — worked. Theranos attracted extraordinary interest and loaded its board with huge names, mainly elder Washington statesmen, including two former U.S. secretaries of state: Henry Kissinger and George Schultz. The group was criticized for lacking expertise in science or medicine. Holmes kept strict control over her image, wearing only black turtleneck sweaters in public, much like Steve Jobs. Theranos and Holmes pushed back hard, and for months refused to acknowledge that its machines were effectively a sham. State and federal authorities started investigations into the accuracy of the company's blood testing work. In 2016 the Centers for Medicare and Medicaid Services, which oversees blood testing labs in the U.S., banned Holmes from operating a lab and revoked Theranos' blood testing license. In late 2016, Theranos began shutting down its clinical labs and wellness centers and laid off more than 40 percent of its full-time employees.